It’s that time of day again. The time when children are ravenously hungry and whining, the baby is crying and tugging on your pant leg, the TV is blaring in the background, someone needs help with their homework, and everyone is hangry! I’m not sure about you, but dinner time at our house is an all out war to see who can stress mom out more. Because this time of day is so crazy, I’ve invested in some kitchen gadgets to make dinner time easier and faster. 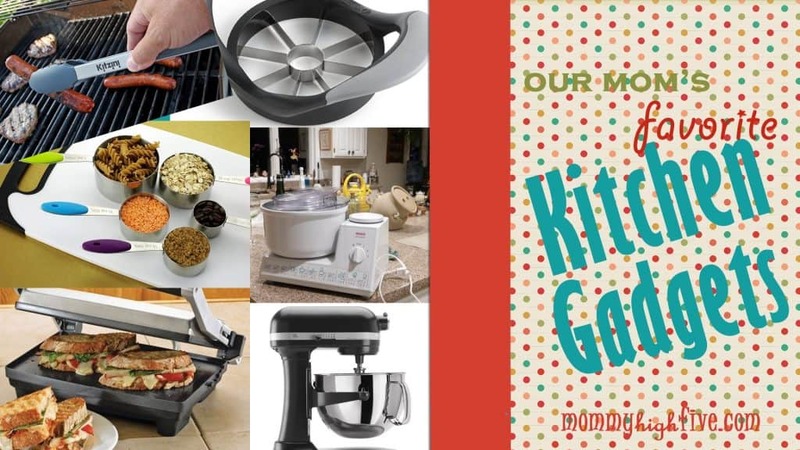 I have drawers and cupboards full of items that are supposed to make cooking and baking easier, but there are a few gadgets that I love and use more than the others. These are items that I use on a regular basis and can’t function without. I also spoke with our Mommy High Five moms to get their feedback on what gadgets they use constantly and can’t survive the dinnertime war without. Hopefully, you can win your battle over the craziness of dinner with some of these simple items. I’ll start with my favorites. I love my Bosch mixer. I use it all the time! I can make a double batch of cookies for a church function, or just for myself. I can mix bread or rolls easily. I can make a cake in a snap. I actually leave it sitting on my counter in a corner so that I have easy access to it because I use it so often. If you’re looking into getting a Bosch go with the Universal. It has a 6.5-quart mixing bowl, which is so great for making large batches or multiple loaves of bread. 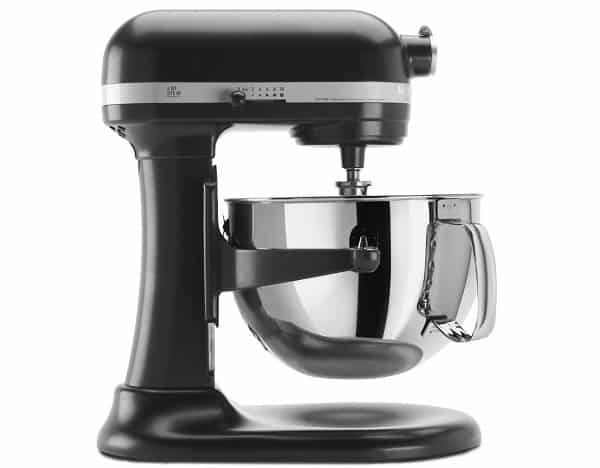 Because it has a larger mixing bowl, it has a high power motor that keeps up really well with those large batches of whatever you are making. The Universal also comes with a bunch of accessories that can be easily swapped out depending on what you are making at the moment. The Bosch Universal also has four different speed settings, and all but the dough hook can be thrown in the dishwasher. The only con that I have come up with is that it can be a little difficult to pour out contents. I know multiple people who have had theirs for 20+ years without having any problems, so it will stand the test of time. My electric griddle. I love my griddle so much that I went and bought another one so that I could have 2 and double up on my griddle space. I use my griddles all the time! I make pancakes, french toast, eggs, hashbrowns, bacon, sausage, grilled cheese sandwiches, garlic bread, and so much more. It is great for parties. You can feed the masses, and quickly, with a griddle. I love that you can control the temperature, and there is a grease tray to catch the messy stuff. The one downside is that they take up so much space. 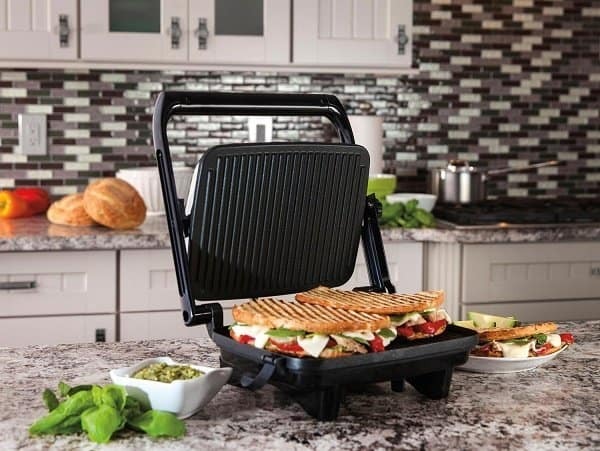 But if you have the room, you need a griddle. Ashli loves a good pair of tongs. I agree. Every kitchen needs a good sturdy set of tongs. You can use them when grilling on the BBQ, when tossing a salad, and many other tasks in the kitchen. I love the tongs with the rubber ends and that lock into place. You will be surprised by how much you will use them once you have them. Ashli also loves her zester. 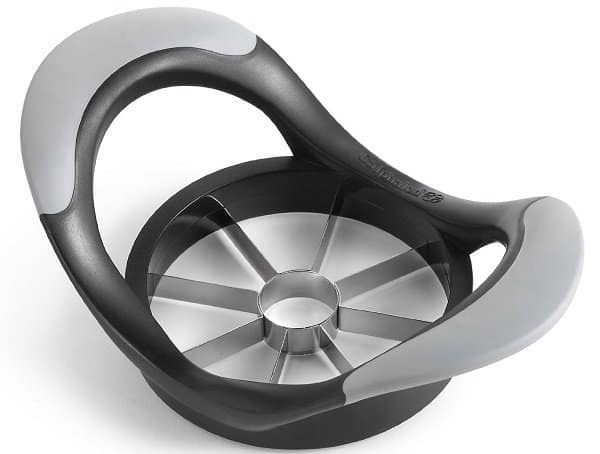 A zester can be used on fruit, hard cheeses, chocolate, cinnamon, ginger, and more. Having a zester and using it will add so much flavor to what you are cooking. Be careful when using this zester. It can be sharp! Susan is a big fan of her sandwich press. 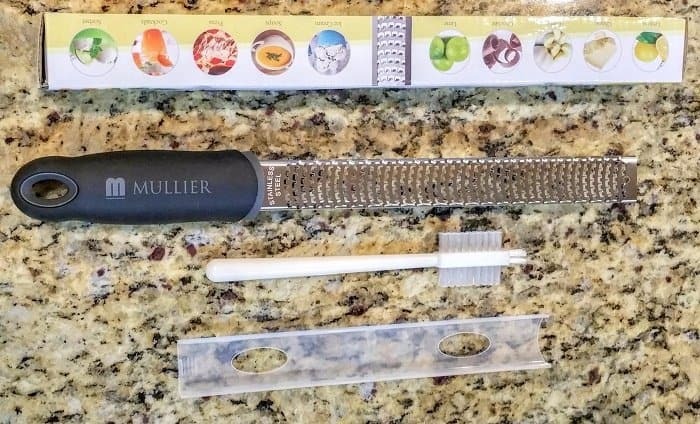 Oh man, the possibilities are endless (and yummy) with this great kitchen gadget. 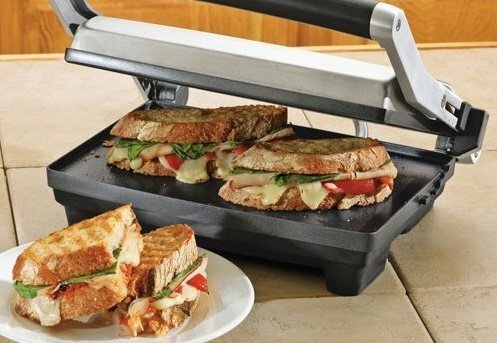 You can make panini sandwiches, quesadillas, little pizzas, and so much more. There’s a locking mechanism that allows you to keep it propped open with cooking items that you don’t want to stick to the top. You can really cook any size of a sandwich, so load it up. 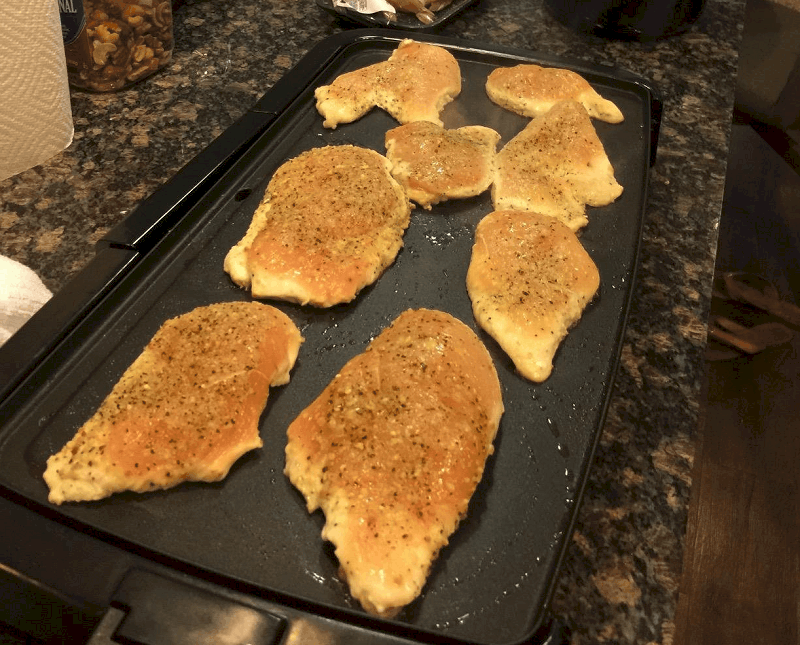 This makes dinner quick and easy and yummy. It is also super easy to clean and store. 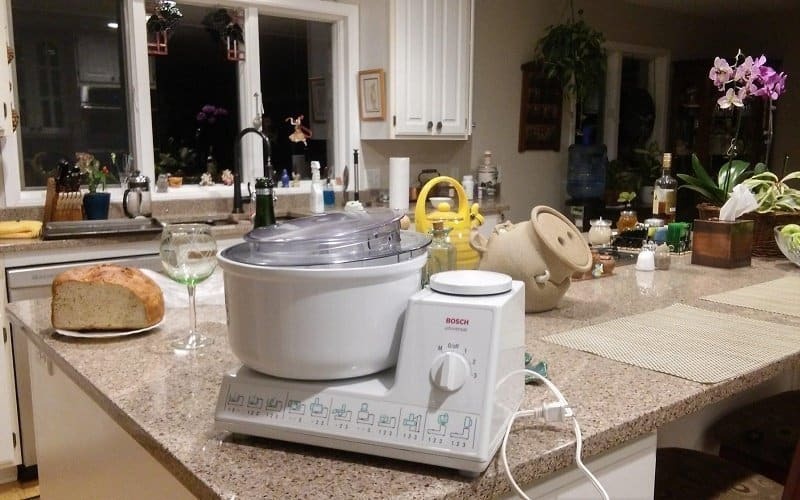 Susan is constantly using her Kitchen Aid mixer. Having a good mixer it crucial to making dinner time smooth and easy. I would recommend the Professional 600 series. It has the largest bowl capacity of all the mixers and has a large motor for mixing large batches. It comes with multiple attachments and is easy to clean. It does struggle a bit when making bread, especially with heavier flour like wheat flour. But for all other needs, it’s a great kitchen tool. And it comes in a ton of fun colors! 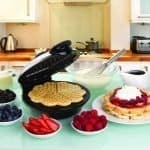 For more of Susan’s favorites take a look at her favorite traditional waffle makers as well as some fun character waffle maker recommendations. 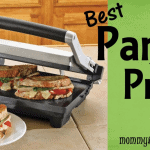 Ashley loves her panini grill, which is the same thing as a sandwich press. Great minds think alike! I am seeing a trend here moms, you need this gadget. I have one too and we use it ALL the time. This is the one I own and love. I like that the bottom plate is flat and doesn’t have ridges so I can cook pancakes easily, fried eggs, and other items that need to be flipped. I can also still cook sandwiches and quesadillas. Ashley is a lover of the crockpot. I have been to Ashley’s and she makes some super duper yummy dinners, soups, and desserts in her crockpot. 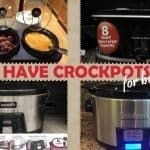 I have to say, I am a crockpot junkie too! I use mine at least once a week if not more. If you don’t have a good big crockpot stop what you are doing and go get one right now. There are quite a few crockpots out there. I personally like to go for the biggest and baddest one I can find. I have a lot of kids who are only going to get bigger, which means they will be eating more. I also love to double my recipes and either have leftovers the next night or throw a batch in the freezer for a later time. You can cook just about anything in this gadget. Roast, soups, potatoes, noodle dishes, desserts and cobblers, chicken. You name it, and most likely it can be cooked in a crockpot. 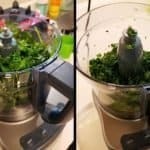 The best part is you can throw in all your ingredients at the beginning of the day and then by the time dinner madness starts you are all ready to go, with no stress. 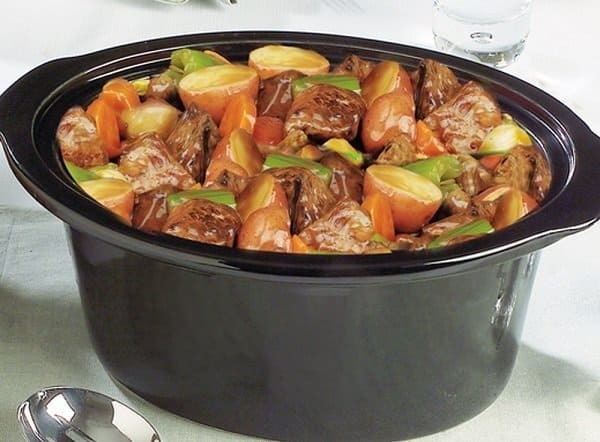 Crockpots are easy to clean and easy to use. It’s a must. Melisa loves her apple slicer. She loves it and uses it all the time. It’s fast, easy, kids can use it, it’s dishwasher safe. There is a lot to love about this product. You can have a quick easy snack in seconds. Be sure to get a good quality slicer. I love this stainless steel one with the handle grips. It makes it easy to use. But be careful, especially when having your kids use it; it is sharp! But it does a great job. Melisa also loves a good set of measuring cups. I specifically recommend this set from IPOW that’s under $15. The stainless steel measuring cups are super durable and will be sure to stay around for awhile. I love the cute color handles that are rubber so it makes them easy and comfortable to hold. This set comes with 5 different sizes and is held together by a ring so that you are sure to never lose one. They easily detach from the ring so that you can use one at a time. And they are dishwasher safe!! 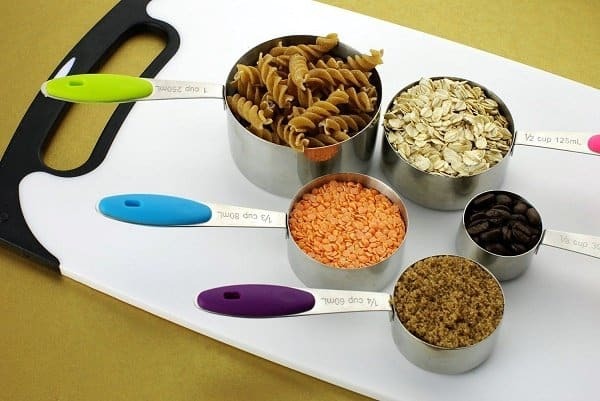 Hopefully sharing our favorite kitchen gadgets with you helps make dinner time a little less chaotic. Let’s be honest, there will still be a fair amount of chaos, but by investing in a few simple kitchen tools the daily stress of putting together an actual meal instead of just cereal will be fun and stress-free! If you have a kitchen gadget that you absolutely love and can’t live without, please let me know by leaving a comment below!